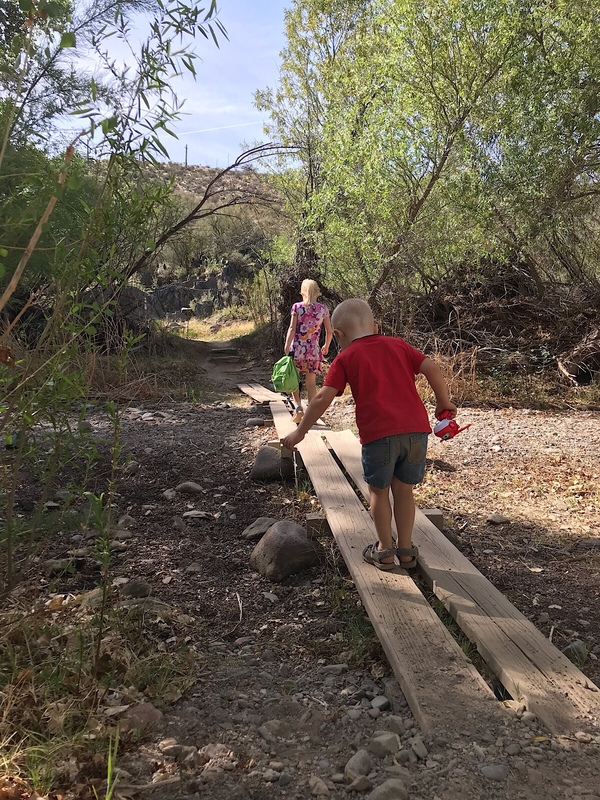 Hiking Jewel of the Creek Preserve in Phoenix with kids is one of the most amazing combinations of desert and lush trees, all in a couple hours. After hearing about this place for a few years, we finally explored one morning. 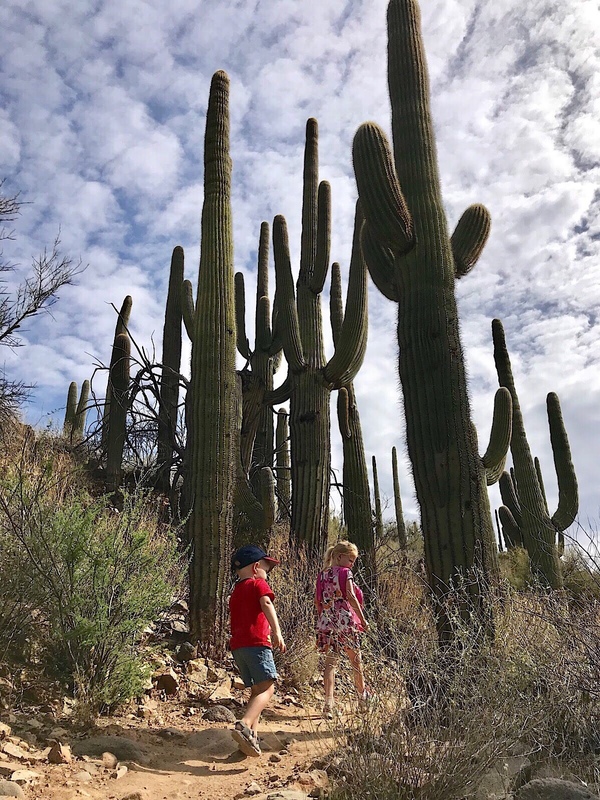 And it quickly became one of our top five favorite hikes in Phoenix! It’s worth nothing that while yes, there is a creek to cross numerous times on the trail, there may or may not be water present. When we hiked in April, it was dusty dry. But when the kids went with the grandparents in November, it had rained in the past week, and there was a good couple inches! So while this is a great hike any time of the year, timing a visit after a rainfall (i.e. summer months with the monsoon rains) will give a more lush oasis adventure. 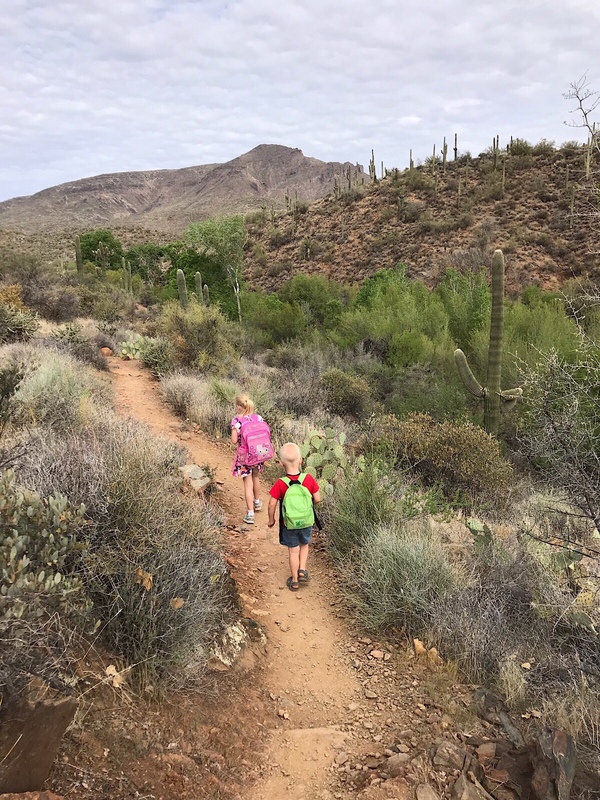 From the main parking lot, the trail starts off with familiar desert plants as it descends into the valley. Keep your eyes on the cottonwood trees because that’s where the fun begins. 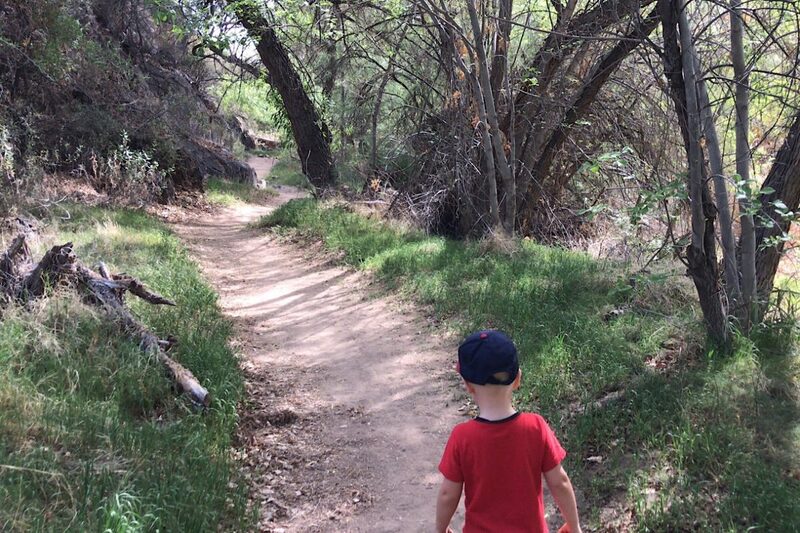 The trail will become shady, green, and huge boulders will be so fun for the kiddos to climb! 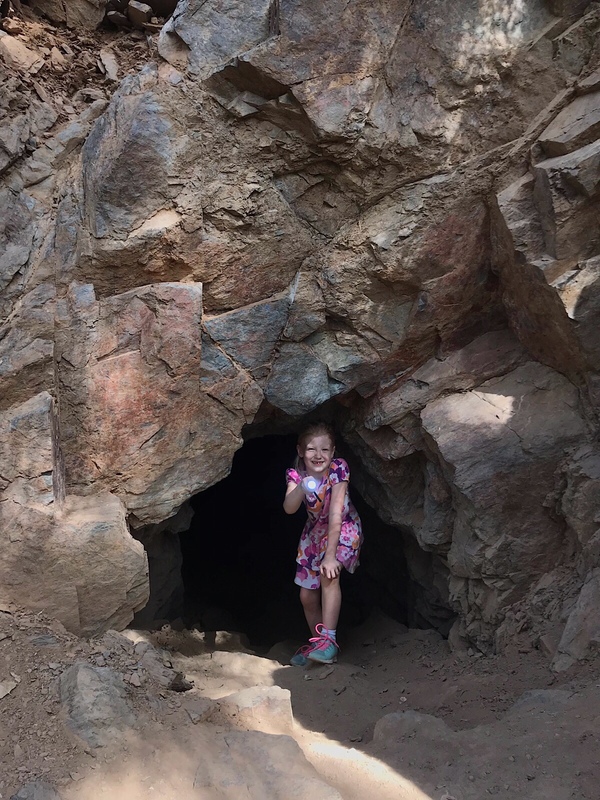 The other appeal of this hike is the kid sized cave to explore! Be sure to bring a bright flashlight or two because it’s a deep one – but safe, don’t worry. To find this cave at the beginning of the hike, take a right when you first reach the Dragonfly Trail Loop. 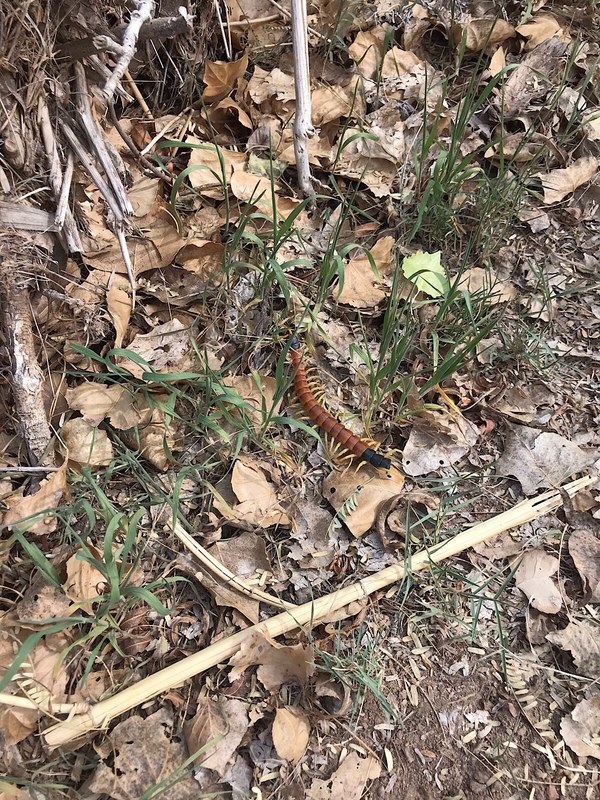 To save it for the end (as we did — it was great hiking motivation! ), take a left at the loop. It’s fairly easy to spot in either direction. 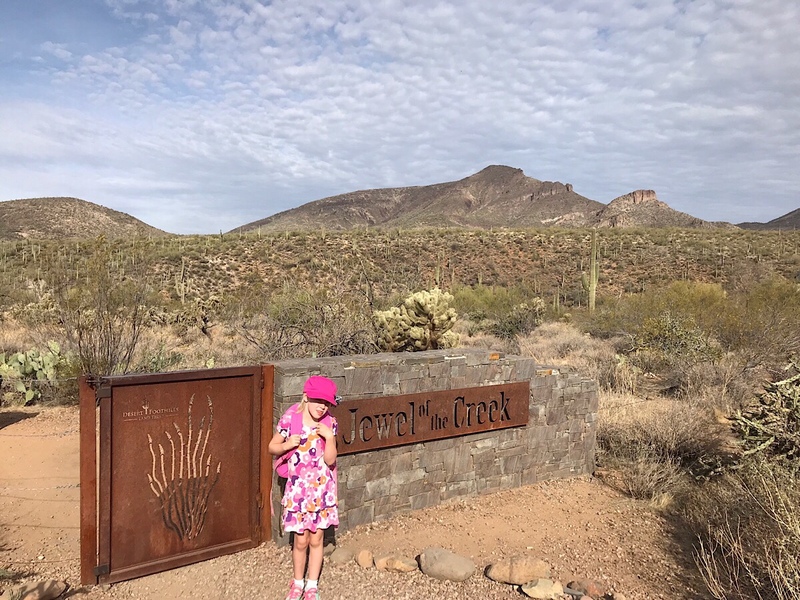 If you search “Jewel of the Creek Preserve” on Google Maps, the location is accurate. There is a small parking lot at the trailhead; if that is full, there is a larger parking lot just down the road. There are no restrooms. Also, from the main road in Cave Creek, it’s about a 2 mile drive on a dirt road to the parking lot. The road is well maintained. It just feels like you’re heading to the middle of nowhere! 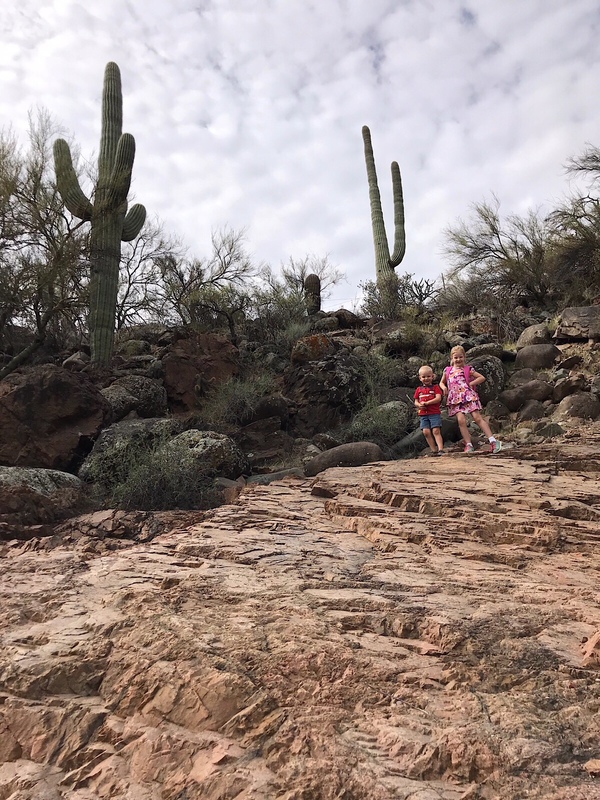 We wouldn’t call this an easy hike for kids. But it’s very doable! 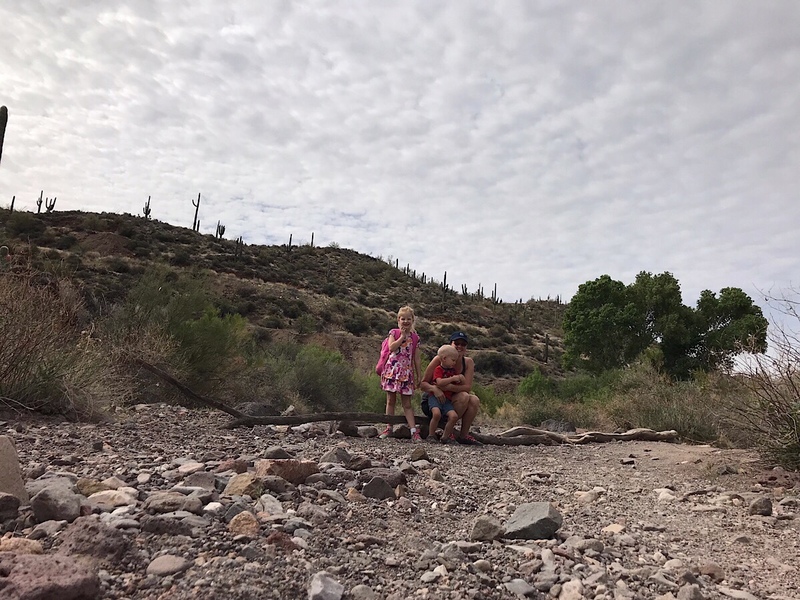 Take your time, talk about what you see along the way, stop for snacks, and this will be an adventure they will talk about for days. 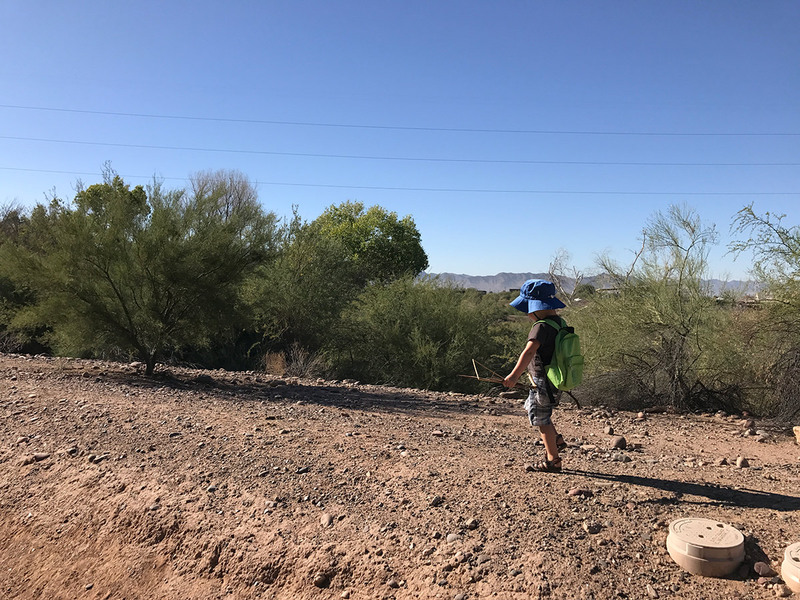 Interested in more kid friendly hikes in Phoenix? 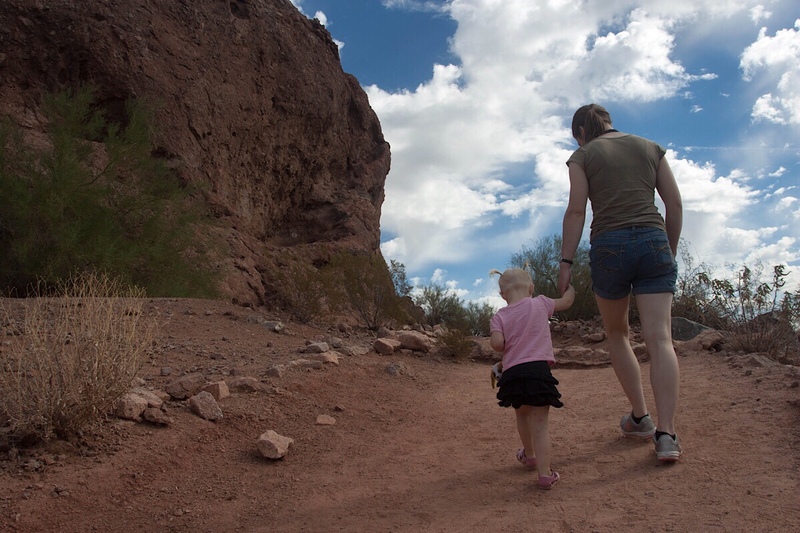 Some of our favorites are Pinnacle Peak, Hole in the Rock, and Dreamy Draw Recreation Area. Or search “hiking” on the blog any time!